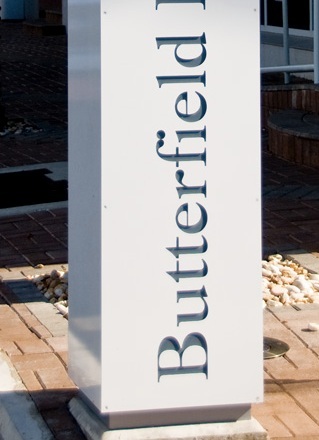 (CNS): Following a very tough 2010 things appear to be looking up for Butterfield Bank as it announced its results for the second quarter of 2010. Despite the continuing difficult economic conditions the bank reported a profit again on Tuesday in its second quarter net income of $11.8 million, compared to net income of $8.4 million in the first quarter of 2011 and net income of $0.2 million in the second quarter of 2010. Brad Kopp, Butterfield’s President and Chief Executive Officer, said the bank was pleased it had delivered a profit for a second consecutive quarter in what he said was still a challenging environment and noted that the bank was still making more cuts. 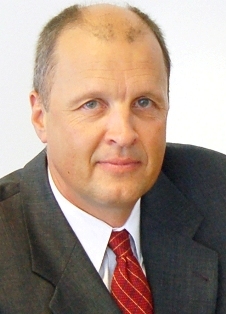 “Against a backdrop of economic slowdown in key Butterfield markets and continued low interest rates, the Bank’s profitability and year-on-year increases in net interest income are good indicators that we are doing the right things to maintain customer loyalty and effectively manage our balance sheet,” he added. “We continue the difficult work of reducing our cost base. Our deposits are stable and our loan portfolio continues to perform well, considering the economic situation. At this time, we have seen no significant increases in delinquencies and the residential mortgage book is holding up,” the bank boss said. Brad Rowse, Chief Financial Officer said that during the second quarter, Butterfield benefitted from the lower risk investing such as select US government agencies. “Combined with small adjustments to deposit rates during the quarter, addressing prevailing overseas rates and competitive factors locally, our investment strategy delivered an increase in our net interest margin. This drove an increase in net interest income before credit provisions of more than 23% over the same period last year,” Rowse added. During the second quarter the bank said it had also achieved significant milestones in its programme to deliver new core banking technology and peripheral systems in its two largest jurisdictions. In late April, Cayman Islands operations were migrated to the new operating platform without significant business interruption. The Bank’s Bermuda operations remain on track for a conversion later this year. It also stated that it had completed the sale of its equity interest in fund administrator Butterfield Fulcrum, contributing $3.2 million of quarterly net income. The completion of the sale will trigger a dividend of $0.42 per share to holders of Butterfield Contingent Value Convertible Preference Shares (“CVCP Shares”), payable on 16 August 2011 to shareholders of record on 26 July 2011.
possibility that such recoveries will occur is remote. The Board declared $4.0 million of dividends on the Bank’s 8% Non-Cumulative Perpetual Voting Preference Shares to be paid on 15 September 2011 to Preference shareholders of record on 1 September 2011. No common dividend was declared. Shareholders’ equity increased during the first six months of fiscal 2011 by $32 million to $841 million. The ratio of total capital to risk weighted assets (also known as the “total capital ratio”) was 22.8% at Q2 2011 compared to 21.6% at year-end 2010. The ratio of tangible common equity to tangible assets was 6.2% reflecting the strength of the Bank’s balance sheet. (GCFFA):Week three of the Dart Women’s League, organized by the Grand Cayman Flag Football Association, saw many rookie players making all the big, game-changing plays. In the first game of the morning, the top seeded Domino’s Pizza Wolverines took on second seed Hammerheads Lady Sharks in what proved to be a tough defensive battle, full of sacks and interceptions. The game started out slow, running scoreless well into the second half, with each team barely moving 20 yards in either direction.It only took one pass by the Wolverines, and one mistake by Hammerheads, for the Wolverines to hang onto their top ranked spot in the league, defeating the Lady Sharks 6-0. Anyone in attendance could confirm there was no shortage of controversial calls, a number of which were very much game changing. Penalties against the Lady Sharks in the second half seemed to wake the Wolverines up; giving them the motivation they needed to drive down the field. On offense, the Lady Sharks were simply not connecting and not holding onto the ball. Quarterbacks Bobeth O’Garro and Ellen Downey took turns at the helm. O’Garro threw eight for seventeen, with two interceptions, while Downey completed three of her four pass attempts. Rookie Serena Yates saw the most action on offense, with four receptions, followed by Scimone Campbell and Lilia Conolly with two receptions each. Unfortunately for the Sharks, penalties and pressure from the Wolverines’ defense combined was enough to keep them out of the end zone. When it came to defense, the Lady Sharks’ rushing duo of Kathy Miller and Serena Yates kept pressure on opposing quarterback, Antoinette Lewis, all game. The blitzers were relentless, coming out with six sacks in total, four courtesy of Yates and two by Miller. Courtisha Ebanks also played a major roll for the Sharks’ defense, with three tackles and one interception, while Downey and Campbell also contributed with three tackles each. Although Lady Sharks played a tight defense, the game-costing mistake came when corner Bobeth O’Garro was caughtflat footed, allowing Benecia Thompson to run past her and catch a long ball by Wolverines’ quarterback for the lone touchdown. For the Wolverines, quarterback Antoinnette Lewis completed twelve of her nineteen pass attempts, with one interception. She spread the ball amongst her players well by linking up with Alexandra Terry five times, Christsania McLean and Jahzenia Thomas three times each, and Benicia Thompson twice, which included the lone touchdown of the game. Christsania McLean also played a key role in the Wolverines’ defense, with five tackles. She was well assisted by teammates Shinette Rhoden, with two tackles and an interception, and Alexandria Saintvil, with four tackles. Saneata Smith also pitched in with two tackles and Dionne Whittaker got the second interception. In the second game of the day, the Lone Star Jager Monsters celebrated their first win of the season against Pythons, with a final score of 6-0. After assessing the team’s strengths and weaknesses, head coach for Monsters, Darrel Porter, made a big change to the offensive line-up. Quarterback Michelle McTaggart returned to a receiver position, and Christina Hefner took over the quarterback role. Christine Bisnauth moved from running back to a wide-receiver, giving more options down the field. The changes proved strategic as Hefner completed nine out of eighteen pass attempts, throwing one ball for an interception. Her favorite receiver was Michelle McTaggart who had six receptions. Christine Bisnauth and Erica Bosch-Bone were Hefner’s other options, with two receptions each. Erica Bosch-Bone also came through with a touchdown to Michelle McTaggart, after catching a pitch from quarterback Hefner. It was definitely a team effort when it came to the Monsters’ defensive line-up. Bisnauth led the defense with four tackles, followed by Christina Ravdas, Marline Williams, Melanie Lewis and Erica Bosch-Bone with two tackles each. Bosch-Bone also came up with two big interceptions. Although having lost for a second week in a row, the Pythons are noticeably improving their game. Quarterback Tamika Byrd was able to connect with her receivers this week, with seven out of eighteen passes completed, and two interceptions thrown. Rookie player Jessica Maxwell had four receptions, followed by Carrie Barnett with two. Some collisions and problematic route crossing seemed to be the problem with the Pythons offense; however, Byrd is beginning to see the whole field and is now throwing her passes to receivers as opposed to grounding the ball when under pressure. On defense for the Pythons, Cynthia Powell saw lots of action with four tackles, followed by Carrie Barnett with three and Karina Chiari with two. Rusher Sheyla Torres, who was instrumental last week for the Pythons’ defense, came through with a sack on the Monsters’ quarterback. Utilizing her height, Jessica Ebanks came away with the only interception for the Pythons. This Saturday’s game action sees the Androgroup Killa-Panthers against the Lone Star Jager Monsters in the first series, with Hammerheads Lady Sharks taking on the Pythons next. The undefeated Wolverines have a bye this Saturday. Games begin at 10am at the Camana Bay Field, with snacks and refreshments available for purchase. (CNS): While times may be tough for some government departments not so at the RCIPS which has got twenty-four new vehicles for its fleet bought by the Portfolio of Internal and External Affairs. The police have purchased eleven police vehicle enforcement package Dodge Chargers, ten 4×4 Suzuki Grand Vitaras and three 4×4 Ford diesel pick-ups which will hit the roads over the next few weeks which have been designed to meet police needs. 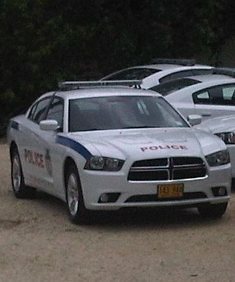 The Dodge Chargers are already on Grand Cayman and are in the process of being marked-up ready for operation in the next few days, the police said in a release Tuesday. “This will be the first time that we will have specifically designed police Dodge Chargers and Ford Crew Cab diesel pick-ups in our fleet,” said Peter Davis, the RCIPS Business Manager. The new vehicles replace the aging, high mileage and uneconomical cars currently in use, the RCIPS stated. “Many of the vehicles which are due to be replaced were already second hand when they were originally purchased by the RCIPS. They have spent long periods of time off the road because of their age and the need for constant maintenance and repair,” the police said. The RCIPS also stated that it has gradually been reducing its fleet numbers through 2010/11 to reduce fleet running costs. The purchase of the new vehicles, the service stated, is expected to greatly reduce maintenance and other related costs over the next five years. The police package Dodge Charger has been tested in other jurisdictions and was said by police to have a great track record within the law enforcement environment and particularly throughout America and Mexico. Its high safety rating, upgraded suspension, heavy duty brakes and engine cooling system will allow officers to carry out their roles safely and securely. The 4×4 Vitara has a proven track record in the Cayman Islands and has tested well in neighbouring Jamaica Police for some years – it deals well with times of adverse weather and flooding. The 4×4 Ford crew pick-ups will be used for hauling the Marine fleet and on the unique terrain of the Sister islands. The use of crew pick up is widely recognised in the Caribbean policing environment. Chief Superintendent John Jones said he welcomed the addition of the cars and was sure they will further enhance the service provided to the Cayman Islands communities by the RCIPs. This win closes the gap on the league leaders and PWC must surely be considered contenders for the title. 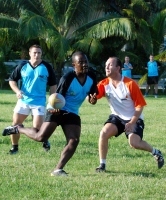 Maples1 and Genesis Five Nations, the oldest and fiercest rivalry in the history of Cayman Touch Rugby, could not be separated, playing out a 5-5 draw. Joint league leaders before the game, they had a titanic battle with no quarter given and none asked. These two teams play tough touch rugby and any game is a difficult one to referee. Kudos must go to James Waters for keeping a lid on proceedings. Both defences, normally as tight as an old pair of pants, conceded more tries in this one game than they have all season – a fact that will displease both captains who pride themselves on their miserly offerings in the “tries against” column. Ogier beat DMS, 7-4. It was their first win of the season and they have been threatening this for some time. The fine double act of Waters and Blair, the Fast and the Furious, were the difference on the scoreboard with a hat-trick apiece but both would give credit to their team for providing the support and running lines needed to effect the win. Walkers Blue Iguanas still can’t find that all-important first win of the season although they ran Appleby mighty close, eventually losing 5-7. Stuart Geddes put in a stand-out performance with his overall play, composure on the ball and three tries. In Division 2, the stand out match was a top of the table clash between Maples2 and UBS. Something had to give as both came into the game with a 100% record to date but it was Maples2 that took the honours, winning out 7-3. They were never in danger against a UBS team that had little answer to the marauding talents of the ginger assassin Andrew Dean. His personal tally of four tries was an excellent return for a team performance that showed both determination and skill in equal measure. The Trident Titans move into third with a well fought 4-3 victory over Happyfish Ticklers. Titans play some inventive rugby with good inside offloads that keep the defences guessing and often on the back foot. Titans always had the edge and squandered a few chances in the first half but with two tries from Riley Mullen they sealed the win. Ticklers speedster Iain Blackwell scored a great try, standing up the Titansdefence before sprinting round the outside to score in the corner. Harmonic recorded their first win of the season with a performance against Campbells that belied their position near the foot of the table. Rob “Der Blond Bomber” Aspinall, showed the way with three well taken tries, the pick being a clean break from halfway, and then deceiving the covering defender with an audacious overhead dummy being scored in the corner. Captain Tim Rossiter was most pleased for his teammate stating, “Rob hasn’t scored three times in one night for a long time. He can stand proud after that performance.” Campbells showed plenty of pluck throughout and ran in four tries of their own. Young Richard Thomas was voted MVP for his all action display and avid touch followers will be pleased to note that Shelly Cox broke her barren spell of scoring when, resplendent in what must now be considered her “lucky” new boots, she covered several inches of turf to score at the end. KPMG1 continued their topsy-turvy season with a convincing win over DART. Rattling up 8 tries to 2, Gerhard Albertyn was the pick of the bunch with three tries and an all-round top performance. They’ll be looking to build on this win in the next part of the season. DART will want to put this early season form behind them as they sit bottom of the table with four defeats on the trot. Their usual try scoring ability deserted them and their problems in defence continue. Maybe a few practice sessions are needed to get that first victory. It was a try time in the opening fixture of Division 3 as Ernst&Young were hammered 1-11 by a Deloitte team that remain undefeated and in second place. Neal Ainscow ran in 4 tries and was ably supported by Gareth Wilkinson (3) and Rob Fysh (2). Curtis Wilson made the solitary response for Ernst&Young who succumbed to their heaviest defeat of the season and remain at the bottom of the table. However, they were surpassed by a 13 try bonanza by KPMG2 who underlined their dominance of the league beating Island Heritage 13-5. Ian Robertson got 5 tries, the most any one player has scored in a game all season. The Heritagers’ never gave up and ran in a creditable 5 tries of their own, Marvin Gordon with a hat-trick. In an entertaining game, Queensgate Grizz’s Old Fellas got their annual victory with a 9-6 win over Credit Suisse. The Suisse defence had more holes in it than a large Emmenthal cheese and these were wonderfully exploited by Venassio Toketokevanua. He teased, toyed and tantalized with ball in hand, leaving defenders grasping at thin air and gasping at his speed of turn as well as his turn of speed. He was more provider than scorer though with the main scoring being done by the husband and wife tag-team of John and Sinead Wagner. The best double act since Ken and Barbie, each scored two a-piece to maintain marital harmony. There’s life in the Old Fellas yet. Rawlinson&Hunter move up to third with their 2nd win on the bounce against an inconsistent GCM team. Conrad Proud maintained his fine record of scoring in every round so far with another two tries taking his season total to 8. He is ably supported by Emma Santiago, who also notched up two tries, making it four tries in three games for her. This week’s Heineken Touch Player of the Week goes to TR-veteran Lisa Kehoe. With more energy than a Duracell bunny she scored eight tries for three different teams. She will be holding seminars all week to pass on her secrets of eternal youth to devotees and followers alike. Well played Ma’am! (CNS): Update – Earlier this afternoon one of the crew members of the Miss Janice, which has been missing for five days, contacted his family to say all six men who had been on board the vessel were safe and well, police confirmed Tuesday afternoon. 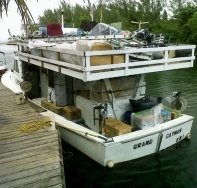 The 37-foot vessel sank on Sunday, 17 July, approximately five hours after setting sail from Grand Cayman. The men had been floating in the water for nine days without any food or water when they were picked up by a passing tanker this afternoon. The tanker, the CPO Sweden, is currently en route to Houston, Texas, and is expected to dock in Houston on Thursday 28 July. Police said that a short time ago a member of the Miss Janice crew, Travis Welcome, spoke to his family and to Chief Inspector Malcolm Kay of the RCIPS by satellite phone and confirmed that all six crew members are safe and well. The Miss Janice departed Grand Cayman on Saturday,16 July, with four Caymanians and two Honduran nationals on board, heading for Swan Island, Honduras, but never arrived. A five-day air and sea search was launched began after the Miss Janice was reported missing last Thursday, 21 July, covered more than 4,000 square miles and involved the RCIPS Marine and Air Operations Units as well as the Lynx helicopter from RFA Wave Ruler. The RCIPS thanked the media and all of the partnerorganisations who assisted during this search. (Courthouse News): Investors in Aramid Entertainment Fund, a Cayman Islands mutual fund, claim hedge fund manager David Molner took more than $60 million in loans for himself – half of the fund's capital – and hid it from auditors. The plaintiffs, two other Cayman Islands companies, say Aramid was established, ostensibly, to issue loans to other companies in the entertainment business, but that Molner made loans he "never had any intention to collect upon." Plaintiffs Wimbledon Financing Master Fund and Stillwater Market Neutral claim in Superior Court that Molner "executed a series of ultravires, insider transactions designed specifically to siphon funds from AEF shareholders." Plaintiffs say all but one of the loans are "currently non-performing or have been written off altogether," and the full extent of Molner his co-defendants' "looting remains unclear as a result of Molner's ongoing refusal to allow an audit, his refusal to provide proper disclosures, and his active concealment of AEF's true financial condition." The defendants include Screen Capital International; Aramid Capital Partners; Timothy Levy; Thomas McGrath; David Bree; Roger Hanson; Thomas Adamek; Stonehenge Capital Company; and Future Capital Partners. Plaintiffs seek at least $60 million in damages and an injunction preventing defendants from "transferring or selling assets and conducting transactions" on behalfof the fund. Plaintiffs are represented by Daniel Petrocelli with O'Melveny & Myers. (GCFFA): The second week of games in the women’s league of the Grand Cayman Flag Football Association, played last Saturday morning at the Camana Bay Field, saw Andro Killa-Panthers and Dominoes Wolverines come out victorious. After losing the opening season game to the Wolverines, Andro Killa-Panthers came with a 18-13 win against the Pythons, the newly formed team relatively full of rookies. Quarterback’s Christina Pineda and Lisa Malice shared duties, with Pineda completing seven out of thirteen passes, with one interception, and Malice with six completions out of thirteen attempts. Killa-Panthers’ Gillian Roffey caught the first touchdown pass from Malice. Tonia Ebanks caught a beautiful long pass thrown by Pineda, leaving her clear to run in the second touchdown. Kristen Watler-Miller caught Pineda’s next touchdown pass in the second half, bringing the Killa-Panthers up from a tie-game. Roffey and Ebanks both had an additional three receptions on offense. The defensive side for Killa-Panthers was also led by Gillian Roffey, whose quick-footed finesse saw her with three tackles, followed by Becky Coe and Jennifer Allen, both with two tackles for their defense. Sophia Dilbert also turned up the speed, successfully blitzing the Pythons’ quarterback thrice, thus stunting their opponents ability to make it up the field. Heather Roffey’s interception on defense also added to the Killa-Panthers momentum. For the Pythons, after having only a few weeks to gel together as a team, their cohesiveness definitely surprised the Killa-Panthers and spectators alike. Sponsored by Mario Rankin, the Pythons stepped onto the field this past Saturday for the first time, and proved that although their team is new, they certainly are not a walk-in-the-park. Playing as the starting quarterback position for the first time, Tamika Byrd showed her strength as a passer and as a runner. Although only completing three out of eleven passing attempts, Byrd’s quick and precise throws will be a challenge to defend once her offensive line is able to hold onto her balls. The three receptions on offense were made by Pythons’ Lana Jarvis and Carla McLean. One of the highlights of the day was for QB Byrd, as she escaped a blitz from the defender and ran the ball through several defenders from around the 30yard marker in the Python’s end, all the way to the other end of the field for a touchdown. Carrie Barnett also had a vital interception for the Pythons, zeroing in on a ball and running it in for a touchdown, tying the game at 12-12. On defense, Jessica Maxwell led the Pythons with seven tackles, followed by Jessica Ebanks with fourtackles and three sacks from rusher Shayla Torres. Although the offensive side for the Pythons needs to find their stride, the team’s defensive line-up kept the Killa-Panthers on their toes. The day’s second game between Dominoes Wolverines versus Lone Star Jager-Monsters saw the Wolverine’s shut-down the Monsters with a final score of 26-0. Antoinnette Lewis, quarterback for the Wolverine’s completed thirteen out of twenty-five passes, and Nadisha Walters stepped infor a moment as QB, with one out of two passes completed, and a short rush for a touchdown. Lewis spread the ball around with touchdown passes to Alexandra Terry, Jahzenia Thomas and Catherine Ebanks. Terry also caught the ball for two-extra points. On offense, Lewis kept her eye on track-athlete Alexandra Terry, who also caught six additional passes, and Christsania McLean, who caught three passes. McLean also cleaned up on defense with seven tackles and an interception, followed by Eleanor Berry with four tackles. Agueda Broderick managed to slip her slight frame through the blockers to sack the Monsters’ quarterback twice, and Fracesca Hamann caught a second interception for the Wolverine’s. For the Monsters, who faced their second loss of the newly begun season, the team simply could not mesh on the field. New quarterback Michelle McTaggart completed sixteen out of thirty passes, with two interceptions. Erica Bosch-Bone also stepped up to QB for one foiled pass attempt. Bosch-Bone was one of McTaggart’s favorite receivers, catching four balls, followed by running back Christine Bisnauth receiving three passes. It was the three receptions downfield by Janycee Parchment that brought the Monsters beyond the 40 yard line, and the simple throws down the middle of field that were being completed in the second half finally brought some offensive action by the Monsters, although a little too late in the game. The defensive line for the Monsters was led by Renee Thompson with five tackles and Kayleigh Jennings with four tackles. Christine Bisnauth, Melanie Lewis and Christina Hefner each had three tackles, and Tricia Miller rushed past the strong blocking by Wolverine’s offense, sacking the quarterback twice. Week three of women’s flag football action on Saturday mornings at the Camana Bay Field sees the current top-seeded teams Hammerheads Lady Sharks against Dominoes Wolverines at 10am, and Lone Star Jager Monsters versus the Pythons at 11am. Spectators are welcome and refreshments will be on sale. On board the chopper was the director of Cayman’s Hazard management McCleary Frederick as well as Steve Freeman who was described in a GIS release as the “Assistant Defence Attaché” who is based in Jamaica along with Duncan Taylor, the governor. Naval officers also met with officials from the Health Services Authority and the Cayman Islands Red Cross to discuss response in the event of a major disaster. 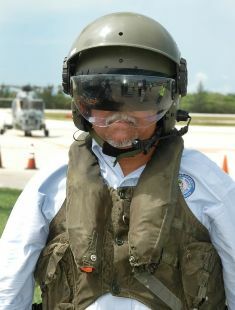 In addition, the ship’s company participated in a search and rescue exercise. The Royal Fleet Auxiliary vessel RFA Wave Ruler is here on a return visit through Tuesday, 26 July, and visits Cayman Brac on Wednesday to discuss disaster relief with Sister Islands’ District Commissioner Ernie Scott and other officials, and tour the island.